When most people think about putting together an email campaign it’s almost like pulling teeth. Much like writing a blog or an article in the newsletter, they get overwhelmed. To me, you need to break it down to the basics. Keep it simple and most importantly keep it human. I’ve been assisting in writing email campaigns for Sunset Designers and Builders that are published on a weekly basis for years. At times it seems overwhelming but if I break down the possible ideas into topics and determine what topics the followers like; it’s really not that bad. This helps you come up with ideas that are relevant and that are beneficial to the followers. If you want a favorable response it’s also important to think about keeping your email campaign short and sweet. Get to the point so that the reader is going to have an interest and not be overwhelmed. There’s always the opportunity to add more to it later; or, break up a substantial subject into multiple pieces that are a continued part of the email campaign. One key element is making sure that it has a human quality. People are interested in people. People stay in touch with a company or a brand because of how it makes them feel and if you can express your true feelings, I think the results are amplified greatly. I am not a believer in lots of technology and speaking in terms that might go over the heads of the majority of your audience. Keep it fun, short and human and you’ll have people that will continue to read on, actually start to look for your next email and when it comes to the email box they will open it. We send out emails through various tools such as Constant Contact and MailChimp; there are many to select from. The analytics that they give back are very valuable as it informs you of how many people open, how many people click through on your action items and this provides a measurement of your success. Email campaigns are a great way to reach out to your prospects/clients and draw them back to your website to take an action. 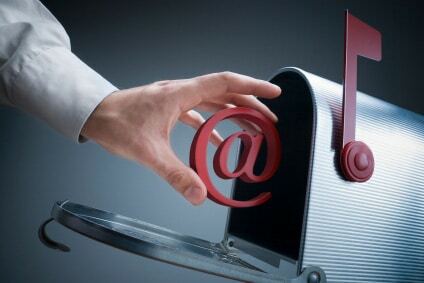 You reap what you sow, email campaigns generate business in the long run.